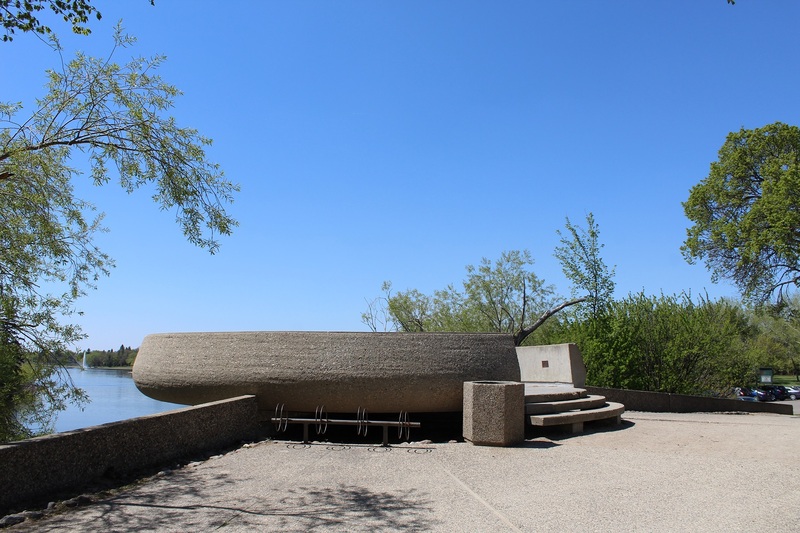 This structure serves three primary functions: main ferry boat loading dock for Willow Island, observation spot looking over the lake to Willow Island, and irrigation pump house for this area of the park. It is also known for the "echo plate" on the top level. The echo plate is actually a water drain/air plate in the centre. But when one stands directly on top then speaks straight forward, a private echo is created. Almost totally unnoticeable to others standing nearby.